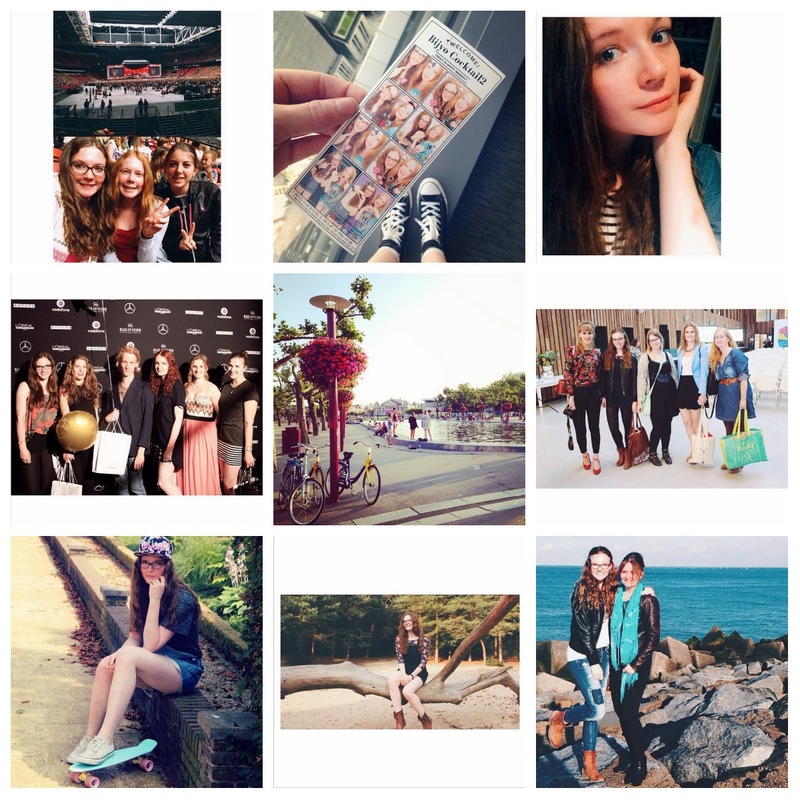 Recently I posted some new Instagram photos and I would love to tell you a little bit more about them! I am planning to post more regularly than I was used to so make sure to follow me on Instagram to see more about my life! Let's go! 001 I went to a One Direction concert with my sister and her friend for the very first time in my life and it was totally amazing! 002 When we went to Japan we took these awesome photobooth photos! 003 I just felt like taking a selfie :D 004 I went to Amsterdam Fashion Week with a couple of other bloggers and it was so much fun! 005 I lived in Amsterdam for a while and this is one of the amazing sunset photos I took with my phone at the Museumplein 006 With some other lovely bloggers at the HEMA blog academy. 007 I was doing some Penny Boarding. 008 Filming my fall outfit video in the forest. 009 I went to the open day of Erasmus University in Rotterdam and afterwards we went to the Maasvlakte. Let me know if I should post more often on Instagram! Leuke foto's, ik ben ook bij One Direction geweest!